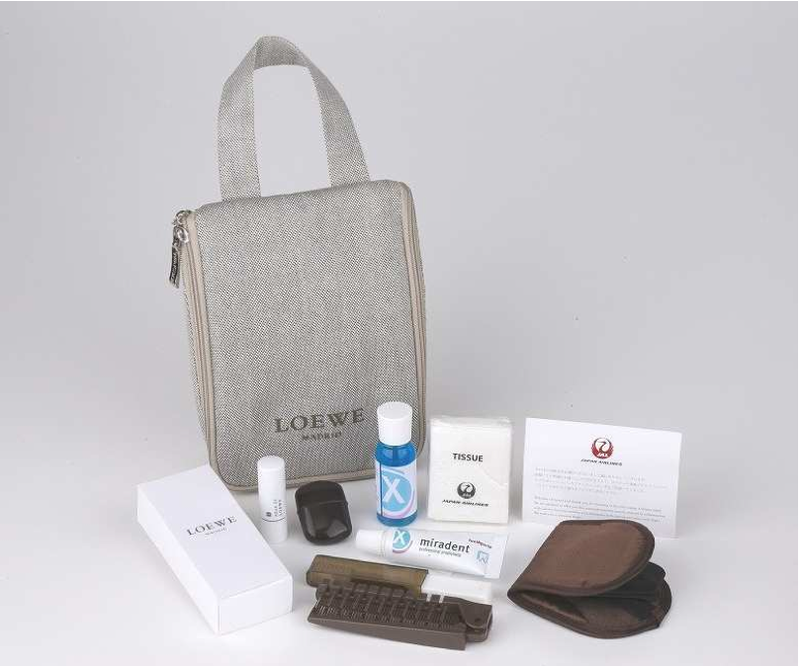 New JAL First Class amenity kit from LOWEW. Image by Japan Airlines. 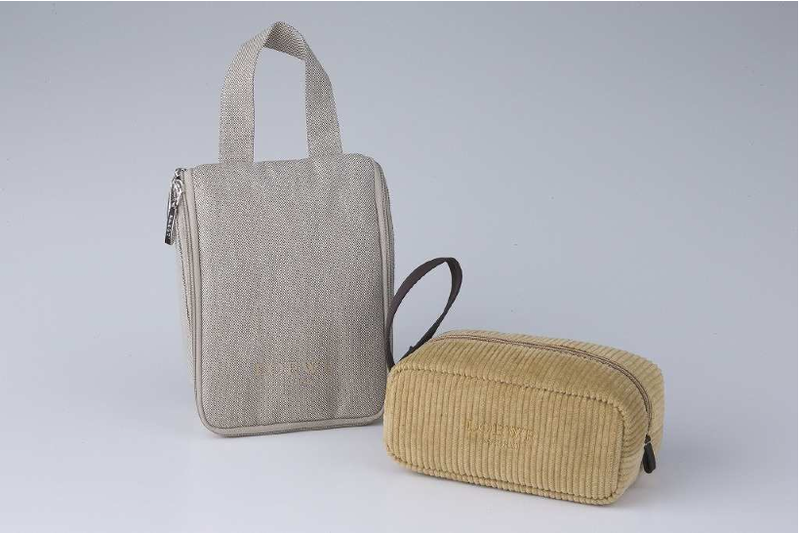 Japan Airlines (JAL) will renew its amenity kits for international First Class from March 30 2014. Unlike the previous JAL branded amenity kits, the new kits are a collaboration between JAL and LOEWE, a Spanish high-class brand. This is the first time LOEWE ever collaborate with an airline. Spring/summer version of JAL First Class amenity kits for outbound (left) and inbound (right) flights. Image by Japan Airlines. There will be 2 different designs of the amenity kit porch - one for flights departing from Japan and one for flights arriving Japan - with different functionalities and fabrics. Canvas and corduroy are used for outbound and inbound porch respectively. Looks like the outbound one are designed for you to hang it in the closet in the hotel. Too bad for foreigners who are traveling to Japan will get this on their way home instead LOL. Other than 2 different designs, there will also be 2 different colors for each of the design. For the outbound kit, it will be in beige during spring and summer, and brown during fall and winter, while the inbound kit will be in camel during spring and summer, and moss green during fall and winter. New JAL First Class amenity kits for flights departing from Japan. Image by Japan Airlines. The kits will include toothbrush set, mouth wash, earplugs, eye mask, towel, lip cream, brush, moisture mask, pocket tissue, etc. But interestingly there is no mention of different contents for men and women. Previously JAL provides different cosmetic products and slightly different amenities for male and female passengers. Looks like that will change when the new kits are rolled out.